Do You Want Money In Your Pocket Even When You Can’t Service Your Client Directly? Make sure you align yourself with a brokerage that is part of an industry leading referral network that offers global exposure on your listings and can give your buyers access not only to properties in your service area, but around the world. An affiliation with a reputable relocation network can afford you the opportunity to ensure your client receives the same level of service that you would have to provide. All brokerage referral networks or franchises with offices around the world cannot necessarily provide this and not all referral networks are the same. In reality, they are vastly different and their closed conversion rates don’t even come close to the conversion rates of an industry leading referral network. The referral process is one that requires particular care for the client, understanding of their needs, and a relationship with the brokerage serving the referral in which you can truly entrust the client will be provided the quality of service you would if you were representing the client in the transaction directly. Leading Real Estate Companies of the World® is the largest invitation-only network of residential real estate firms widely recognized as premier providers of quality residential real estate and relocation services. According to REAL Trends, in 2017, Leading Real Estate Companies of the World, a referral network comprised of top independent brokerages, outsold the closest Franchise competitor by $62 Billion in total sales volume. This speaks to the large footprint of the LeadingRE network. Membership in this network is exclusive and reserved only for top performing independent brokerages who have top market share in the areas each they services. Due to the networks extensive vetting process, the LeadingRE network can ensure that each member is truly qualified to join. This referral network is closing on average 34,000 referral per year which equates to closing 9 referrals each day, including weekends and holiday. The conversion rate of the network is approximately 52% according to REAL Trends, almost double the national average of other referral networks and global franchises which stands at approximate 25%. 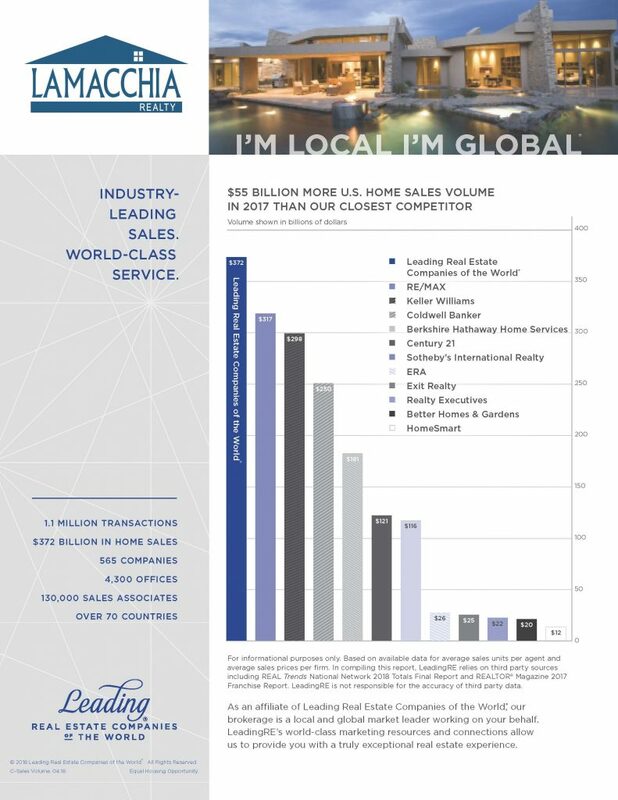 Today the LeadingRE network sits at 565 brokerages across 70 countries and has over 140,000 sales associates. If you are a part of a brokerage that is member of LeadingRE, any of your listing that is posted on your MLS is automatically marketed on the LeadingRE websites which is connected to every affiliates homepage. This means that in addition to the marketing you are already doing, your listing gets exposure on over 565 other global website of top independent brokerages around the work. There are no other franchise agents or non LeadingRE agents that can offer this level of exposure or quality of service. 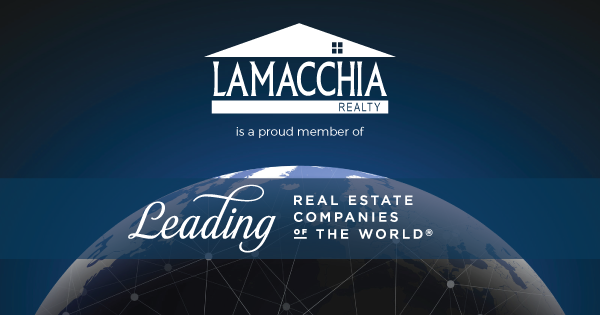 Lamacchia Realty joined the LeadingRE network in 2016 and has been expanding its relocation department ever since. We are helping clients relocate around the world and provide resources to make the relocation process seamless.